Signing with Apress has made all the pieces fall into place. The writing of the book is now progressing steadily and if everything works out as planned, the book is going to be published in August. If you’d like to pre-order the book, you can do so from either Amazon or from Apress directly. Also let me know if you’re interested in writing a review of the book. In that case I’ll make sure that you’ll receive a free review copy. Contact me through the contact page if you’re interested. It is a big achievement! Congrats! Is it your first book? Parxier: Thanks! Yes this is my first book. It must be really fulfilling to see your name as an author on Amazon.com. Congratulations!!! You must be really excited. I’ve got my order in. Congrats Gabe! 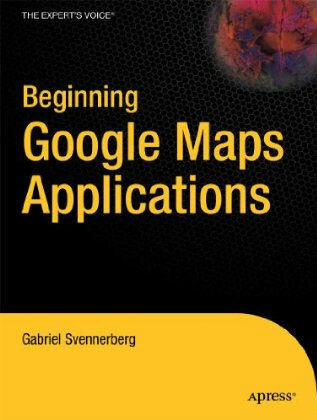 This book must be just as awesome as your work w/ GMaps! Hi there, nice job. Not many books on Google Maps. Try to let us know how to combine it with server side scripts and build dynamic applications with large amount of data. There is a similar from Apress but it is about v.2 of the API. Hello Gabriel, is it possible to buy your book in pdf format? Svetoslav Dimitrov: It will be available to buy as an e-book in pdf format as soon as it’s released.